Have you noticed a shortage of avocados, limes and tortillas at your local grocery store over the past couple of days? Don’t panic…join in on the fun and break out your chips and salsa, tacos and margaritas…Cinco de Mayo has arrived! On this day back in 1862, the Mexican army claimed victory over French forces at the Battle of Puebla. While Cinco de Mayo has limited significance in Mexico, the date is observed in the United States, as well as other locations around the world, as a celebration of Mexican heritage and pride. Nearly 150 years later, we are still celebrating this victory and the courage of the Mexican army by indulging in delicious Mexican-infused cuisine, Mexican-inspired beverages and Mexican-themed parties. 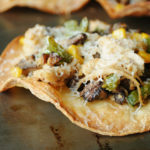 To help us celebrate Cinco de Mayo this year, I’m serving up one of my favorite dishes: Taco Pizza. 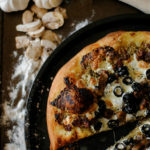 This dish combines my love for pizza and tacos and helps to satisfy both cravings at once. Plus, it’s so festive and perfect to serve on this great day of remembrance! 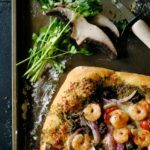 Roll/stretch out one pizza crust and place on a greased baking sheet or greased pizza pan; sprinkle crust with salt and 1 teaspoon of taco seasoning mix. Spoon 1/2 can of refried beans over the crust. Top beans with 1/2 of seasoned ground beef; cover beef with cheese. Bake for 10-12 minutes or until crust is golden brown and cheese is browned and bubbly. Remove from the oven and top with 1/2 cup shredded lettuce followed by 1 diced tomato. Drizzle 2 tablespoons of Ranch dressing all over the pizza. Are you celebrating Cinco de Mayo today? If so, what’s on your menu? I tried to make taco pizza once and it was not good. :-P Yours looks wonderful though so I will have to give it another shot! 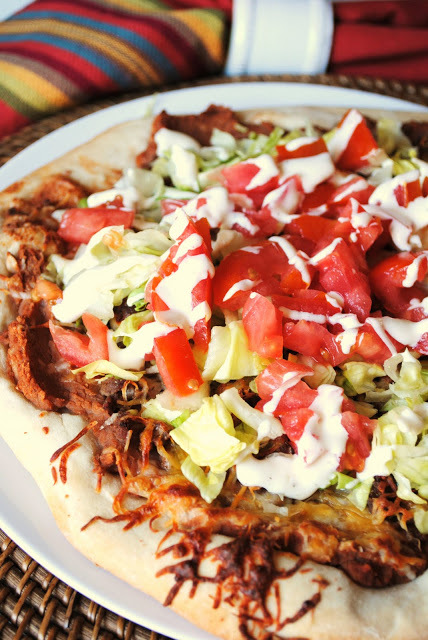 YUMMY, I love a good taco pizza! We made a similar pizza awhile ago and I forgot to post it. Thanks for the reminder. Love the different flavors on this one! I love taco pizza! It was the only school lunch I got excited for, ha! 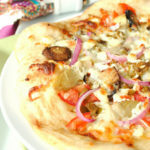 This is a great way to combine two of my kids' favorite foods – tacos and pizza. Looks delicious! I have never had taco pizza! YUM! We love making Taco Pizzas in my family! Yours looks delicious! Sometimes we'll just use flour tortillas and they're still yummy!